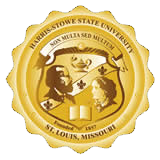 Any individual with knowledge of a crime on campus may submit a confidential report by going to http://hssu.edu/report. Need to update your emergency alert preferences? Click here. If you are reporting a medical problem, ask someone to monitor the affected person’s condition so you can relay the information to the officer(s).